No images of Solaire Connect Installations. Solaire was a pleasure to do business from the initial contact with Danny the salesperson to Lynne in the office and finally the guys fitting the system. I would have no hesitation recommending Solaire to friends and family. My system continually was cutting off about 6 or 7 times a day until a western power electrician adjusted the inverter. I was told by solaire that the power from the grid was supplying too much ac power and that was causing the inverter to cut out.The electrician said the inverter wasn't set correctly! Also i was sold extra panels so the system went from 5kw to 5.9kw. But now I know the 5kw inverter won't produce any more! Iam waiting for some sunny days to see if the system is working as it should. I have a 5kw fronius inverter and 20 rec 295 twin peak panels. We have tried our best to help you work through your voltage issues over the course of 2 months. As you are aware this is out of our control and essentially down to Western Power. Last time we spoke, Western Power were going to be making changes and accepted that the high voltage was due to their infrastructure. I must note none of our electricians stated the inverter was set up incorrectly, it was in fact set up correctly. Kevan and the team were fantastic. They answered all of my questions and provided great service both before and after installation. The system recommended was what we thought would be the best for our situation/location. 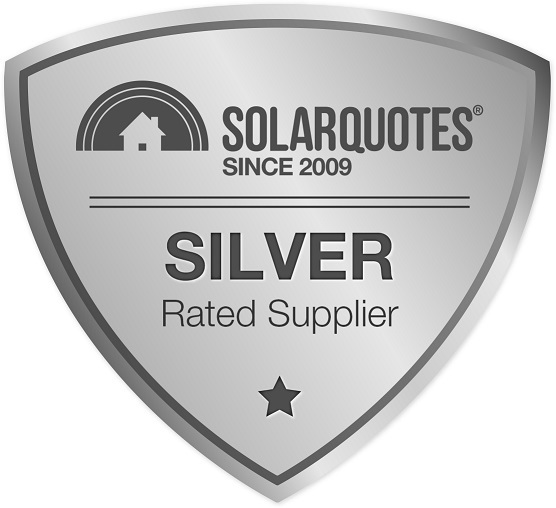 Solar Quotes provided me with two companies to consider. One was to expensive for the equipment offered the other for the same equipment was too cheap in my opinion. I got 5 quotes all together and decided that Solaire provided the best price for the equipment. 20 x 270w REC Panels with Fronius 5.01-1 Inverter. Installation was very good with quality materials & connectors. Solaire set up App on my computer so I can monitor system. Thankyou Solar Quotes giving me the info I needed to do homework and make a wise choice. I have based my opinion regarding installation on a qualified electricians report, regarding the workmanship on my roof. ( ie: the fitting of the solar panels). As for the customer service, I am still waiting for a reply to telephone calls I made to them 1 week ago and previously 1 month ago. It seems an awful lot of money, $10,000, plus the government rebate, for 6 years of solar power. I would think we are reasonably out of pocket. Thank you for your review and we are sorry to see you feel this way. This was all dealt with in a suitable time-frame once you had discussed with Kevan. The system was installed in 2009/10 when the specifications for install were very different to what they are now or in 2016 when this review was made. We do feel this would have influenced the report received from the electrician. Every job we have ever installed has always been to the respective standards/requirements of that time. If you wish to discuss your case any further please do not hesitate to contact our office on 9300 9324. Contact with provider originated form a Facebook special they had advertised, I received a prompt email with a comprehensive response and a follow up phone call. I did some further research and additional quotes. I wanted to upgrade to a Tier 1 panel and they were happy to accommodate, process from start to install was painless. The only reason I put the install at average was in a perfect world I would have liked the inverter in a different position. Fantastic service from this family based company in Joondalup - they even cleaned up and took all of their rubbish away. 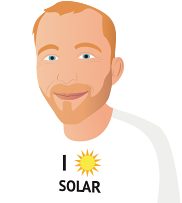 After getting 8 quotes and a lot of research I decided to go with Solaire Connect, they offered the best price and system (Conergy 1.9 kw system), they are a local company. The installers arrived on the set day and time and had the system up and running in 3 hrs. The system has been running without any problems for just over a month.